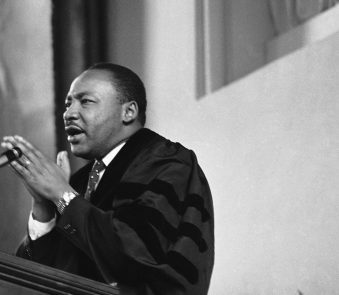 Dr. Martin Luther King, Jr., seen here on March 31, 1968. 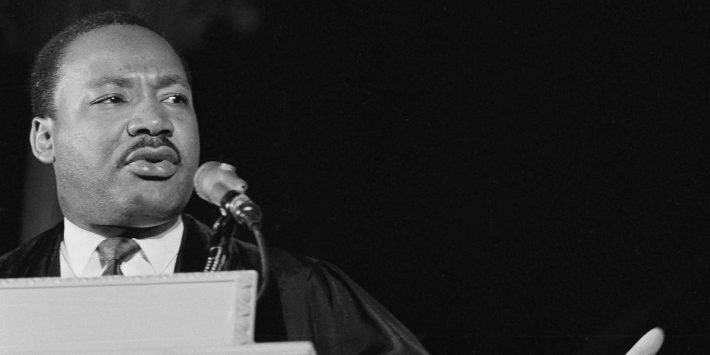 Fifty years later, King's words still inspire. Though his voice was silenced nearly 50 years ago, the Rev. Martin Luther King Jr.’s message of nonviolence still resonates and inspires. Decades ago, the famed civil rights leader — also regarded as one of America’s greatest orators — recalled driving one night from Atlanta to Chattanooga, Tennessee, with his brother A.D. at the wheel. Most cars in the opposite lane failed to dim their lights, and his brother angrily vowed to keep his bright lights on in retaliation. “And I looked at him right quick and said: ‘Oh no, don’t do that. There’d be too much light on this highway, and it will end up in mutual destruction for all. Somebody got to have some sense on this highway,'” King told the congregation at the Dexter Avenue Baptist Church in Montgomery, Alabama during a 1957 sermon. The AP asked a half-dozen people in the cities where he was born and where he died to consider his words and talk about what they mean for today’s world. Some were interviewed in Atlanta, home to King’s Ebenezer Baptist Church congregation and his office where Xernona Clayton organized protest marches and fundraisers. 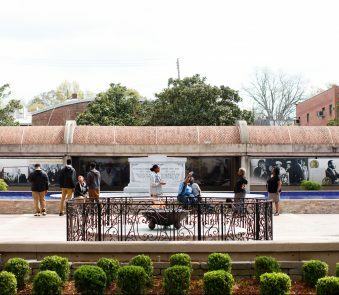 Others reflected on the quote in Memphis, in front of the Lorraine Motel balcony where King was assassinated on April 4, 1968. “In order to fulfill a dream, it’s going to take a team that’s going to demonstrate love and not hate,” Cleophus Smith said. Smith was one of the sanitation workers who went on strike in 1968 after two of his co-workers were killed by a malfunctioning garbage truck. 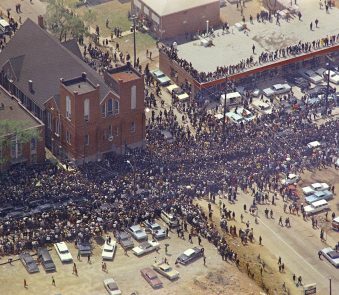 King was in Memphis supporting the sanitation workers’ strike when he was slain at the Lorraine Motel. “You think about the grand scheme of things, you can’t fight hate with hate in the world we live in today. You can’t fight violence with violence,” said Mike Conley, a guard for the Memphis Grizzlies of the National Basketball Association. “This is a time of moral reckoning in our nation. We must choose to stand on the side of light and love,” said the Rev. Raphael Warnock, senior pastor of Ebenezer Baptist Church in Atlanta. “He talked about love and hate so effectively,” said Xernona Clayton, King’s office manager in Atlanta. “Dr. King really hated no one. He loved everyone, he really did. He practiced it, and he preached it. The Life And Legacy Of Dr. Martin Luther King Jr.